Adds much needed privacy to any reptiles terrarium. 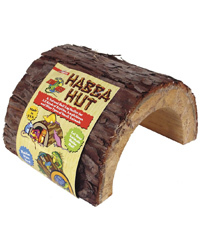 A perfect way to help reptiles feel safe and secure, reduces the stress associated with keeping animals in captivity. A natural alternative to plastic or resin hiding areas. Aids in keeping your terrarium realistic and natural looking.